Globe Motley Mid in a Vegan colorway!? I feel like someone over at Globe may have made a mistake. Not that I’m not psyched to see it. 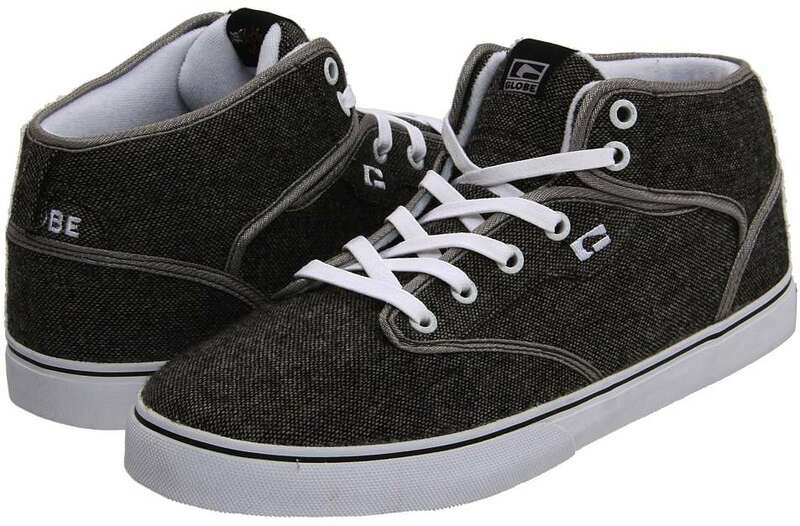 However this is the first time a set of Globe skateboard shoes have been on the blog, for unfortunate material choices. What really gets under my skin is how often they have made Synthetic shoes and then put on some un-vegan detailing. The Motley Mid is the Globe team shoe, so it going to be a great shoe to skate. The upper is a heavy duty black and white canvas. (I think that makes grey?) The mid has some padding in the tongue and collar, though overall the shoe is pretty slim. Vulcanized soles for a good board feel.